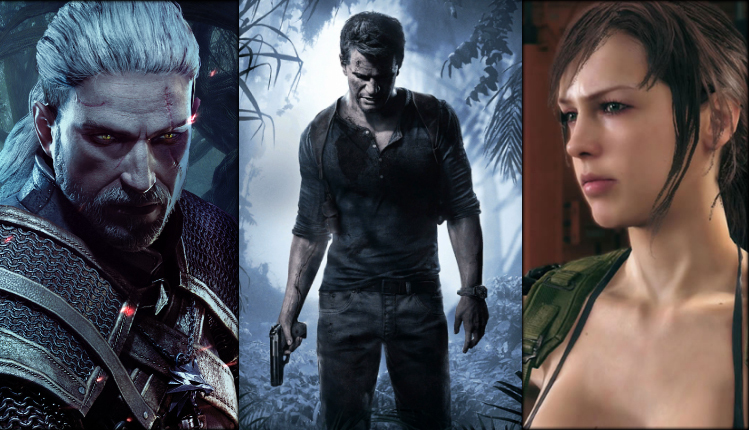 The PS4 has witnessed some truly amazing games since it's release in 2013. Titles such as GTA V, Witcher 3, Horizon Zero Dawn and God of War, form a small part of a large collection of truly great games. In this post you'll find a run down of some of the best PS4 games of all time, some you may have heard of and some others not. So whether you're looking to fill a gap as you wait for that next big title, want to reminisce about old times, or even flick back through the catalogue for gems that you missed the first time around, this list should provide perfect guidance on the best PS4 games of all time. Until Dawn is a game which surprised even Sony by its unexpected success. Inspired heavily by the Quantic Dream formula of games, Until Dawn forces you to make many choices that affect how the story progresses. Presentation is top notch, with great graphics , impressive motion capture and a few famous actors playing a role. I remember it was one of the first games that I played live in it's entirely and let the chat influenced many of my choices. The Butterfly Effect made it the perfect stream game as a result. I wasn't the biggest fan of the sometimes cringeworthy teenage drama that the game opens with, nor the plot that led into the conclusion that felt somewhat out of place. Other than that though there are some really entertaining twists and turns in Until Dawn and it is the videogame equivalent of a popcorn movie - a roller coaster ride you should at least have taken once! I am obliged to give credit where credit is due but no doubt some of you will raise an eyebrow just hearing the word Destiny. Like many others, the disappointing story was a far cry from the Halo days that Bungee were well known for, but something about Destiny just kept you coming back for more. Those loot cave farming days for purple engrams and the endless raid running for exotic drops had me drawn in for hours upon hours. With the release of the Taken King expansion, the games flaws were finally addressed and the game climbed its way to success. The online community were buzzing but sadly the game would never reach this peak again. Destiny is certainly one for fond memories but given its huge reliance on player numbers (given it's an MMO) and the lack of a player base today, it's one of those games that if you missed you probably can never go back. I felt strangely exhausted by the time I reached the end of Detroit: Become Human. Having been a fan of Quantic Dream for years this confused me as the sheer scope of the latest game I can only admire. The number of choices that can lead to character deaths, totally new encounters and possible endings I have never seen in a game before. Combine that with a gripping story and three playable characters that are each relatable and interesting in her own way, and as a narrative experience there is little to critique about the game. However, I felt conflicted: being unable to avoid a large sense of familiarity, from walking around, pressing buttons to making choices, analysing crime scenes and taking part in quick time events, Detroit's limited gameplay made me realise that Quantic Dream's talented team holds the potential to expand the boundaries but are held back only be themselves. The large number of remasters on PS4 gave me a great excuse to catch up on the games I missed out on last generation. However, the games I did play before yet also chose to revisit are limited. One such exception is Heavy Rain which I gladly made an exception for. Apart from the outdated facial animations and downright cringey dialogue at times, Heavy Rain is one of those games I can see myself returning to for decades to come. It has a splendid mix of both emotion and intensity. Ethan Mars loses one of his sons in a car accident, his marriage falls apart and the tragedy can't seem to come to an end when years later his own son is kidnapped by the origami killer. To save Sean you as the player take on the role of four different protagonists who each have their part to play. E3 demos build-up massive hype, but contrary to everyone else, I never cared much for Watch Dogs prior to release. Cheap as it may sound in hindsight to say "I told you so" but I never believed this to be the next GTA. This was just another Ubisoft IP, borrowing the same ideas from all it's other games, yet here I was a few years later and upon launch I suddenly seemed to be the only one actually content with how Watch Dogs turned out. Hacking traffic lights to watch cars crash right in front of you, taking out your silenced pistol to clear out a base or invading someone else's world online to play a hilarious game of hide and seek, Watch Dogs wasn't the most original game or of the highest quality, but I surely had a fantastic time with it. Battlefield 4 was one of the few games I bought alongside my new PlayStation 4. For the entire first few years I considered it to be the title that truly showed what the console was capable of. Where the previous generation limited us to 24 players, the PS4 version finally brought the true meaning of scale, allowing 64 player battles. While the old hardware was showing its age with low resolution and almost no anti-aliasing, the PS4 version provided some of the most stunning visuals for console players at that time. Last but certainly not least, Battlefield 4 took the forefront in transforming multiplayer games to target 60 frames per second on console - a very welcome change. Due to its smaller player base, Battlefield 4 is not the entry to recommend these days but with that big leap it makes it the most distinct released in that generation. Many years ago, I would vividly remember the many times that I would stay up until midnight playing Super Mario until I couldn't keep my eyes open anymore. Platformers were synonymous with gaming in those days, they practically went hand-in-hand with shorter. Man how to times have changed. With the rise of online and more recently, Battle Royale game modes, AAA publishers have essentially ignored the platform genre for quite a long time. Thankfully Activision made the first step with Crash Bandicoot, and now with Spyro Reignited Trilogy released, Activision have proven many people are still longing for these games to make a comeback. Spyro's focus on exploration and gathering collectables made for the perfect activity during downtime, or as a distraction while I would catch up on YouTube. 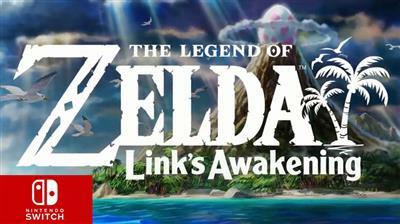 The graphics are gorgeous and there is no stress involved - it's just a highly fun and relaxing game to play. A Way Out had been on my radar the moment I saw it was announced. Where for most it was the boldness of Joseph Forest stage performances that made the game stand out, I saw in indie project trying to achieve something few others would even dare to attempt. A Way Out promised an emotional, interactive experience, not easy to deliver for a small team with a tight budget available. At the heart is a story between two prisoners who team up to try and escape and who's bonds will grow over time. By forcing you to participate in this narrative together with a friend, the effect mimics itself on both the screen and on your couch. The creative ways in which A Way Out makes you work together, as well as put you up against each other, is a concept that just works. Now sure, judge its production values and its sometimes awkward voice acting and animations, and there is no doubt it doesn't compare to the huge AAA games. However, A Way Out is a testament to the fact that creativity over sheer production budget will always prevail. With sweaty hands and by slowly turning around each corner I finally got around to beating Resident Evil 7 last year, because as much as I don't like a admitting it horror games scare the life out of me. I touched on it briefly when I talked about The Last Guardian but RE7 is comparable in that it's a game I'd rather remember than actually revisit though for very different reasons. I was intrigued by the story, I wanted to find out what happened to the Baker family and whether I be able to escape the house. The obstacles in your path to find these answers were not easy for me to overcome. I nervously anticipated the next jump scare, the next stressful chase, or the next time grandma would randomly show up only for me to wonder if this was finally the moment she'd jump in my face! Resident Evil 7 is a game I reminisce about. Where most of the iconic duos from the PS2 era have left the stage, it's great to see Ratchet and Clank still alive and kicking. The remix / reboot of the original game on PS4 certainly doesn't reinvent the wheel but it's still such a fun game to play. I've heard complaints from many purests who didn't like the changes made within the story which I can respect, but having never played the original myself you understand that I personally wasn't bothered by this fact. To me Ratchet and Clank brought back old school shoot em-up and platform gameplay. There's a large range of the most ridiculous weapons from the pixelizer through to the sheepinator or the traditional rhino rocket launcher. Gadgets like the jetpack, rail boots and mini games like hoverboard racing add a great amount of variety. Last of all the visual spectacle, brought by every exploding crate sending hundreds of bullets flying across the screen is the icing on the cake! For over 5 years, I've been beating a drum for Rayman Legends and with still no word on a sequel, I don't plan to stop anytime soon. Growing up with games like Super Mario World on the SNES, Rayman Legends is the 2D platformer that the PS4 deserves. Not only does it stand out with the most beautiful art style and unique physics that take time to master, the music steals the show as it uses catchy songs and plays insync with every jump and punch. The game is filled with content, not only through its own collection of levels and online challenges, but also by including many of the best levels from the previous game. The fact I was asked to spend €40 at launch almost gives me a sense of guilt because Rayman Legends is a game that certainly deserved my money. Shadow of the Colossus is a piece of art, it's one of the simplest games in essence. On his horse, Argo enters a forbidden land, accompanied by the lifeless body of a girl he would do anything to revive. Dormin, a spirit locked up in the tower of the map tasks him with the defeating sixteen Colossi and in return will grant him his deepest wish. You're let loose to explore the world at your own pace, a world that invokes all kinds of emotions. At times I felt a wonderful sense of peacefulness but there were also moments of anxiety, awareness, of your lonely presence in this vast empty space. A complete contrast are the battles with every Colossus, they feel epic and store an iconic boombastic musical score that's been stuck in my head ever since. Team Ico have proven that Shadow of the Colossus is a timeless experience without touching any core part of the original title and plainly upgrading sound and visuals to the standards of today. During my recent time with Shadow of Colossus I never perceived to be playing a game nearly 15 years old. The beauty of God of War 3 is that even though you can practically tell its age, the game still holds up due to its phenomenal structure. Not a single second feels dragged out and at no point does it ever slow down. Combat is ferocious, its scale is enormous - watching the colossal Titan Kronos hold Kratos between the tips of his fingers had me struck with awe. Now as a character, Kratos maybe one-dimensional and the story in the last game of the trilogy seems to be there to serve the epic encounters rather than the other way around, but hey who's to say a future game couldn't improve on this. Could The Last Guardian possibly live up to expectations after a decade of waiting? The sad answer is that "yes it could have done" if only the game were held back by unnecessarily awful controls and camera issues. The Last Guardian is a beautiful story between Treacle and the boy who wakes up next to him, not knowing how he arrived in the mythical place that surrounds him. Amazing is the word that comes to mind when I think about every moment of The Last Guardian that stuck with me, and annoying is the only way I can describe most of the time I actually spent playing it. Fortunately, an absolutely incredibly moving ending makes up for every minute of frustration that led up to it. The Last Guardian is a game you play to remember. Last year Lara Croft's new trilogy came to an end and forced me to draw the conclusion that it failed to reach the potential that was at one point inside. With the release of Shadow behind us, I recently returned to the reboot and found myself once again pleasantly surprised. The 2013 Tomb Raider is an action-packed campaign which clearly took inspiration from recent successful franchises. A mysterious Island, a pacing that never lets up and big playable set pieces - this combination of elements forms an exhilarating expedition. Though you may have seen it somewhere before, fortunately satisfying bow and arrow combat, and a dozen optional tombs help add it's own twist to prevent Tomb Raider from feeling too familiar. The floaty animations are specific, they take awhile to get used, but feel part of its identity now. A paper-thin story and bland cast of characters were never improved upon but everything Tomb Raider does do well ensures that it is as thrilling an adventure to play as it was back when it came out. Before getting around to playing it I held a bit of a grudge against Assassin's Creed IV. I love the second game in the series but franchise fatigue had subsequently set in once Ubisoft chose the year after year release approach. Therefore I decided to not pick up AC4 on my new PlayStation until I became tired of launch games and needed a single player adventure to dive into. Assassin's Creed IV didn't change the traditional formula in the slightest, it still looked like a PS3 game, and frankly it still played like one, but Edward Kenway's likeable personality and that of a Caribbean settings stole the show. An iconic character in Spiderman, a talented developer in Insomnia games, and a publisher like Sony which understands like no other what it takes to live up to the reputation of such a household name, prior to Marvel Spider Man's release it was already clear that it possessed all the key ingredients needed to make for a fantastic game. Hype seemed through the roof but having never been the biggest fan of the superhero genre myself, I didn't shy away from saying that I barely felt excited for the game. However, exactly for this reason I ended up surprised by how engaged I was in Peter Parker's story, especially the dynamics between him and the friends he is surrounded by. The combat wasn't original but surely satisfying, which also counts for the web slinging. Traversing New York felt exactly like fans wanted and increasing speed with every level. Easily my biggest gripe though came down to all the side content which I can only describe as basic and repetitive, but at least this is a task for a sequel that is undoubtedly to come and I'm looking forward to when that day arrives. Hellblade: Senua's Sacrifice was the surprise game of 2017. I'd heard about it, I'd seen the trailer but I couldn't have predictive to have loved the game as much as I did. Hellblade is a unique experience which becomes clear from the first minute. The main character, Senua, suffers from psychosis, a given detail that isn't simply conveyed through storytelling but that you get to experience in an interactive way. By playing the game with headphones on, you'll hear voices left and right, back and forth, speaking to you directly. You're placed in the shoes of a character in a way I've never seen before. On top of the already fantastic sound design, it gives the game a truly airy vibe at times. I found that I needed to take a break after every hour of playing Hellblade, not because I didn't want to continue but because it was mentally straining on me. Now, gameplay is on the basic side. I quickly became aware of the patterns in which I'd switch between an exploration sequence to a puzzle section and a combat encounter. That combat encounter lacked depth, with a limited list of moves and no further upgrades as you make your way through. In the end it's the feeling of isolation that the game induces, the way it makes you relate to Senua's character, that makes her journey unforgettable. If you can overlook these shortcomings then it's certainly one of the greats. After listening to gamers rave about the appeal of the Souls games for several years it took until Dark Souls 3 for me to realise myself what the hype was about. As frustrating as it may be to die over and over again, and travel long distances only to lose your progress with the snap of a finger, once you finally defeat a boss there is no feeling quite like it. I think back to bosses like the Dancer of the Boreal Valley which took many attempts to figure out the attack patterns, but once I did, dodging its every move eventually put me in a trance-like state of mind. What remains of Edith Finch completely slipped under the radar for me. Reading it like another walking simulator I was quick to dismiss it at first, but then it presented itself again, peaking my curiosity once I saw the awards it had racked up. Well, I would quickly learn that the appraiser was all justified. It didn't take much longer than a few hours until all the credits rolled, but the story that it told within that time frame is one I won't forget anytime soon. Edith travels back to her old house where she relives fond memories and tells a story to you as the player. One by one, you'll get to know each her relatives through small separate sequences and some of these encounters are absolutely brilliant. They blend in new gameplay mechanics with the stories they tell. Well, I would love to reminisce about my favourite with you but trust me - play it yourself and you'll thank me later for preserving you from these spoilers. Comparisons between Spiderman and Batman Arkham Knight will be hard to avoid but the latter was ultimately the more enjoyable package for me. I mainly base this on personal preference. First of all there's the astonishing presentation. Gotham City is dark and gritty, rain pours down from the sky and gives every object in the world this glossy look. I really like the variety in gameplay from the famous combat system that Batman itself revolutionised, to the puzzles and Batmobile chases through the street and the tank missions which granted did become redundant towards the end. Most of all, where Spiderman failed in offering meaningful side content with substance, Batman's open world missions were more meaningful. They added story and brought along new locations to keep things interesting, while the insane amount of Riddler challenges never incentivise me to gain 100% completion, I finished everything else that Arkham Knight had to offer. The game put a smile on my face that even the Joker would be jealous of! I still remember the shocked look on my face as Chloe took off her mask at PSX 2016. What we all anticipated it to be a single player DLC for Uncharted 4 became Uncharted the Lost Legacy, a stand-alone adventure with two unexpected main characters searching for the tusk of Ganesh in India. Guerrilla Games remains a single source of pride for many gamers like myself. Horizon Zero Dawn increases justification for that, not to take anything away from the achievements of the Killzone series, but Horizon showed Guerrilla's ability to go a step beyond that. A sprawling open world, gorgeous graphics, cool robot designs, and most importantly addictive gameplay, led to me updating my platinum within a single week. Where Horizon falls short is in its story. Sure the concept is interesting and the plot contains a few twists but having you standstill in the room to watch two holograms talk is an uncreative choice in many circumstances. Is there a point in recommending a game that everyone already owns!? GTA V has sold around 100 million copies and it cannot be understated how huge of an amount that is. Of course this raises the question "are these numbers deserved? ", well if you ask me to a certain extent yes they are. There is no doubt Rockstar creates worlds that are so full of detail that no other developer can come close. Every character is well-written and it seems like Michael confronting the yoga teacher flirting with his wife is so hilarious that they are forever engraved in my mind. The missions are all over the top and many people still play the online mode even today, but GTA V is also a floored game, highlighted by outdated controls and certain character motivations towards the end that don't make sense with the rest of the plot. All my other points are up to personal taste, I prefer the grittiness of Liberty City over the sunny San Andreas, the rawness of a character like Niko Bellic over Michael's family issues, the silly humour of Roman over the in-your-face approach that Trevor takes. The game therefore may not be my favourite in the series but GTA V is a great game...but you already know that already! I would be lying to myself ranking Red Dead Redemption 2 any higher than I did. Outside pressure may be enormous to do so but the more time passes the more I've come to realise that the impact of RDR2 on me wasn't that strong. On one hand I could not be happier with the story as presented. I'd waited for a sequel to one of my favourite games for 8 years and it truly felt like an throwback to the original in every single way. Arthur Morgan maybe my favourite new protagonist in years and the personalities of Dutch and John Marston remains fantastic, watching the events unfold and carefully connect with the story that I knew put me on the edge of my seat. The sheer scope of this world I had never seen in a game before, however for such a beautifully crafted world and carefully setup narrative, I was also incredibly disappointed by the repetitive nature of each mission and even more so by the outdated shooting mechanics that have not been changed in over a decade. Sealing off the previous generation, The Last of Us summed up everything I already loved about Sony's new strategy on their first party side. An emphasis on single player, on storytelling, on deep character development, without forgetting the need for a mechanically sound and polished experience. By including the Left Behind DLC and playing in 60 frames per second, the remaster on PS4 is the definitive version if you somehow missed out. Often overlooked is the multiplayer mode that stuck to its core and wasn't riddled with overpowered abilities. Though I'd argue the later addition of pay to unlock weapons ruined that a bit. I've replayed The Last of Us several times on both consoles since picking it up in 2013 and put in over 100 hours online. However, I also have to be honest in saying that over time The Last of Us has become a bit of a double-edged sword. For as many times as I replayed it, and for a great of a game as I think it is, it never hit home for me the same way it did the first time. The almost godlike status that is awarded to it by fans, has created a disconnect to a degree that wouldn't be fair to deny. If you still haven't experienced the emotional story telling of The Last Of Us you're really missing out. Not often do you get to say thank god for Activision but in this case it's justified. What they've done with Crash Bandicoot, as well as Spyro which I already discussed earlier, I can only commend them for. The Insane Trilogy brought back three classics from the PS1 days and gave them a graphical upgrade to keep up with today's standards. Ultimately, I found the second game to be my favourite; collecting all of the games gems and hidden secrets to reach 100%. Most importantly is that the N-Sane Trilogy answered my call for a revival of the platform genre and it seems I wasn't the only one asking. Record sales and reinspired fan support led Activision to announce a remastered version of Crash Team Racing (confirmed for 2019). Now I can only say fingers crossed for the future of both Crash Bandicoot and platform games in general. Bloodborne is arguably one of the best games on the PS4 and also one of the hardest. You will be constantly beaten, beaten again, and then left to cry in the corner. This might sound like pure frustration but every breath of progression in Bloodborne is highly rewarding. The atmosphere is beautiful, controls super responsive, soundtrack amazing and the boss fights are some of the most memorable available. Although certainly not the first game in the Souls series, Bloodborne is nonetheless over 4 years old now but still hold up perfectly. If you've never experienced the game first time around, now's your chance to give Bloodborne the time it deserves as one of the best PS4 exclusives. In 2014 with the Phantom Pain due for release I dusted off my Vita and PS3 to play every single Metal Gear Solid entry until I eventually caught up. Since it's story was meant to be so convoluted I'd never jumped on board the originals, but this recent choice was one that left me with no regrets. While the gameplay has become quite outdated now on the old games, the story totally held up. It shaped high expectations for Metal Gear Solid V which sadly did not deliver what I thought. Despite a brilliant opening that reinforced my assumptions, Metal Gear Solid V let me down with a flimsy plot. However, in contrast to every game that came before it, MGSV delivered one of the best gameplay experience ever. One that has genuinely ruined games for me since. Through incredibly solid stealth mechanics and a silky smooth performance, Konami's Fox engine provides some of the best technology in the gaming scene today. All the more tragic was to see the more recent events unfold at Konami but I can't let that thought spoil the fun. Photon extracting enemies to build up your army, unlocking Quite and with classic 80s music blasting through the speakers, MGSV just never got stale. Where do you rank a remastered collection of old games from your most treasured franchise, one that even includes your favourite game of all time? Uncharted: The Nathan Drake collection combines the first three games of an adventure that's turned into a legend for me. Ulike many games on this list, The Nathan Drake collection is not exemplary of PS4 capabilities, it's graphics and gunplay, while still passable, have been surpassed. Despite all that, the impact it made on my life is everlasting. I will always love Drake's Fortune for introducing me to Nathan Drake, to Sully and Elena, for a sense of mystery and great plot. Among Thieves turned the tides for the PlayStation 3 and improved practically everywhere it could. Monumental playable set pieces, a variety of stunning environments interwoven in a journey that naturally moves along but at a rapid pace. Although I've always looked at Deception as the low point of the franchise, I continue to appreciate it for adding depth to Nathan Drake's backstory and offering the most technically impressive sequences. With all the time I spent playing Uncharted on the PlayStation 3 and even with the disappointing absence of the multiplayer mode, The Nathan Drake collection still managed to be near the very top on my most played PS4 games and it remains truly eternal for me! God of War on PlayStation 4 didn't just revitalize a series in fast decline, it put Sony Santa Monica back on the map as one of the finest development studios in the business. Learning lessons from the best storytellers, God of War granted Kratos a fresh start, a new setting, a change in perspective that brought along a different style of combat, and a personal story between Kratos and son that felt self contained. My sole piece of criticism would be a lack of boss fights which I can only assume a sequel will put right. That complaint however, does not hold up to the moments of pure joy. When God of War was first revealed at E3 I immediately felt I was witnessing something remarkable, still with so many changes I told myself to stay sceptical. Two months earlier and at a special event, I got to play the game early, and through its first few hours my mind was made up, I didn't need to wait any longer to know that all along my gut feeling had been right! A Thief's End is the closing chapter for Nathan Drake, in a Naughty Dog franchise which had come full circle since its inception in 2007. Upon release, Uncharted 4 induced a magnitude of nostalgia, the likes of which I had never seen before. Every moment had a sense of weight behind it because I knew this would be the last time I'd get to be around these characters. Looking at old artefacts in Drake's attic, playing Crash Bandicoot on the couch with Elena, and witnessing those spectacular setpieces. Uncharted 4 is by far one of the most special experiences I've ever had in 24 years of playing games and allowed me to say goodbye to my most beloved characters in the best possible way. Arguably one of the greatest games of it's generation, the Witcher 3 maintains its position as the king of open world games. Packed with so much content it's easy to see why the game took so long to release. The Witcher 3 contains a perfect blend of a beautifully detailed world, atmosphere, soundtrack, story and gameplay. The open world is spread across a huge map, completely open for players to explore at their leisure. It's laden with excellent storytelling, actions that lead to meaningful consequences, multiple endings and varied side quests. Although the combat system maybe be limited in the Witcher 3, the pure depth of characters, loot and unique fights is unbeatable. Combine the base game with the larger expansion, Blood and Wine, and you have over a 100 hours of game time to enjoy. The Witcher 3 is more than 4 years old now but still worth revisiting even today!